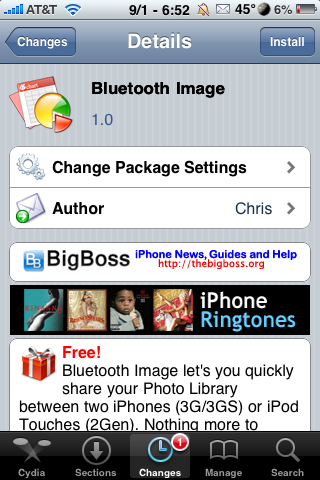 Bluetooth Image is an application that allows you to share images from your Photo Albums over Wifi. In order for this application to work, both devices (iPhone or iPod touch) need to have the app installed and open. RotoPhoto is a simple yet useful application. 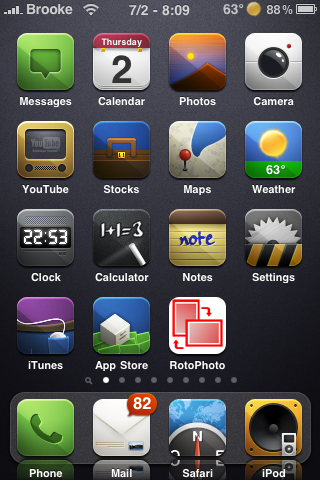 Once installed, you are able to rotate any image that is in your Photo Albums. You are then able to save the image back into your Camera Roll. To rotate an image; just open the application, load an image, use the arrow icon on the lower menu bar to rotate the image and then hit save. The app worked perfectly and is extremely easy to use. If you are looking for this type of app…I would definitely check this one out. It is only $0.99 and it works great.